Password protecting your Windows 10 PC or tablet helps you guard the data on your PC. While there are tools and workarounds to bypass the login password, it should not deter you from securing your account with a password. You can take a number of measures to protect the data on your PC. Password protecting your computer is the first step. 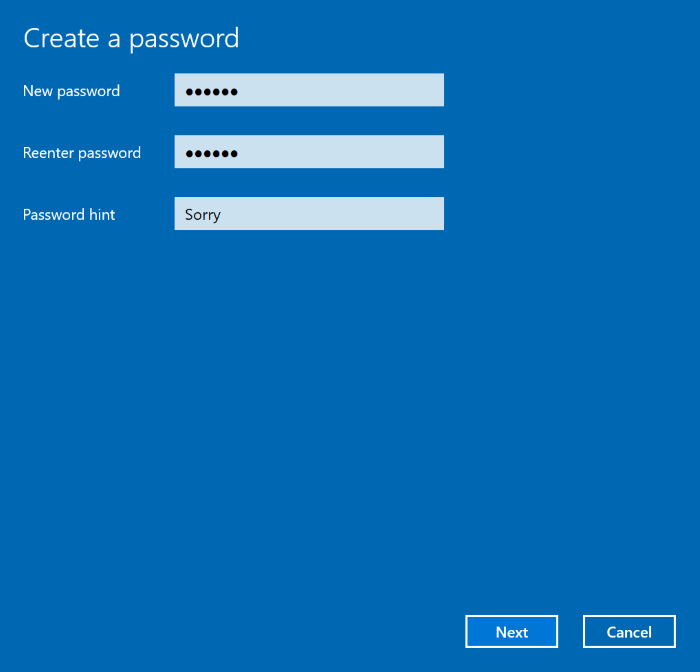 In this guide, we will see how to protect your Windows 10 computer with a password. Following are the ways to protect your Windows 10 PC with a password. 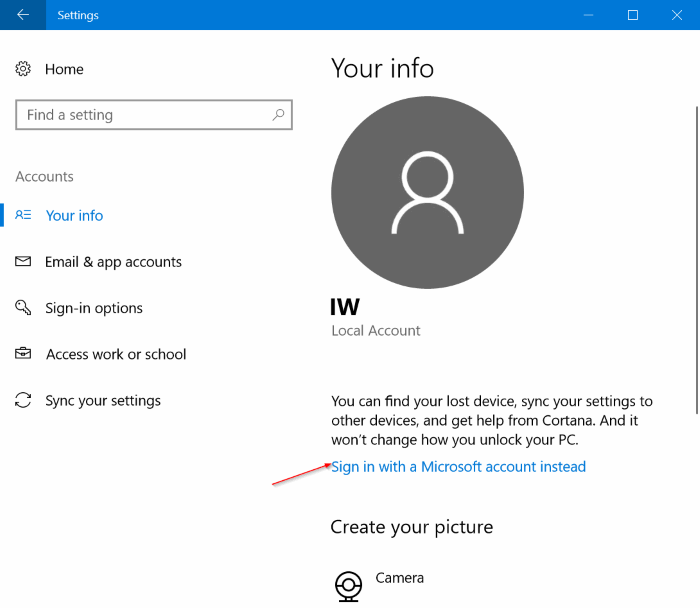 This method is for users who are using a local user account instead of a Microsoft account to sign-in to Windows 10. Step 1: Open Settings app. Navigate to Accounts > Sign-in options. Step 2: Here, in Password section, click the Add button. 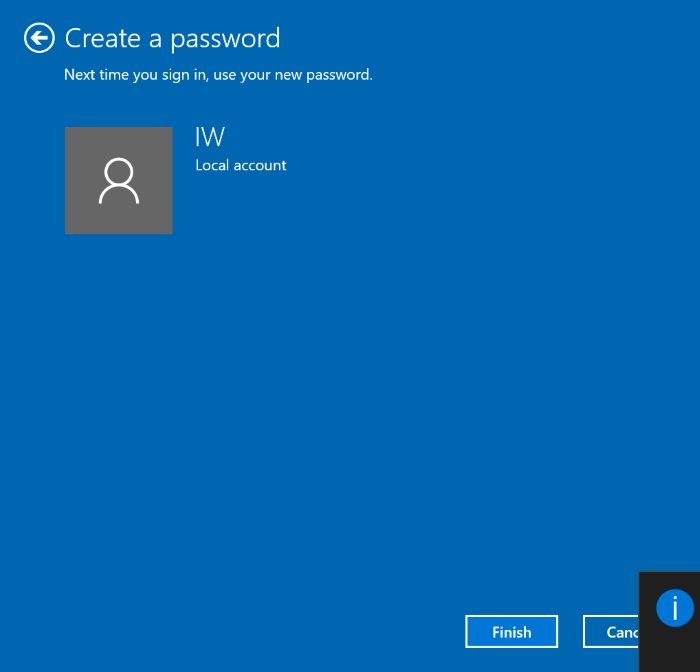 As you can see, when your user account is not protected with a password, Windows 10 displays “You must add a password before you can use the other sign-in options” message. Click the Add button to see Create a password screen. Step 3: In the New password field, type in a strong password. Next, in the Reenter password field, type the password again. Type in a hint for the password but make sure that no one other than you can use that hint to guess the password. Also, avoid common passwords such as 123456, your birth date, your name, and your family member’s name. Step 4: Finally, click Finish button to add password to your local user account. Step 1: Open Settings app. Click Accounts. Click Your info. Step 2: Click Sign in with a Microsoft account instead link. 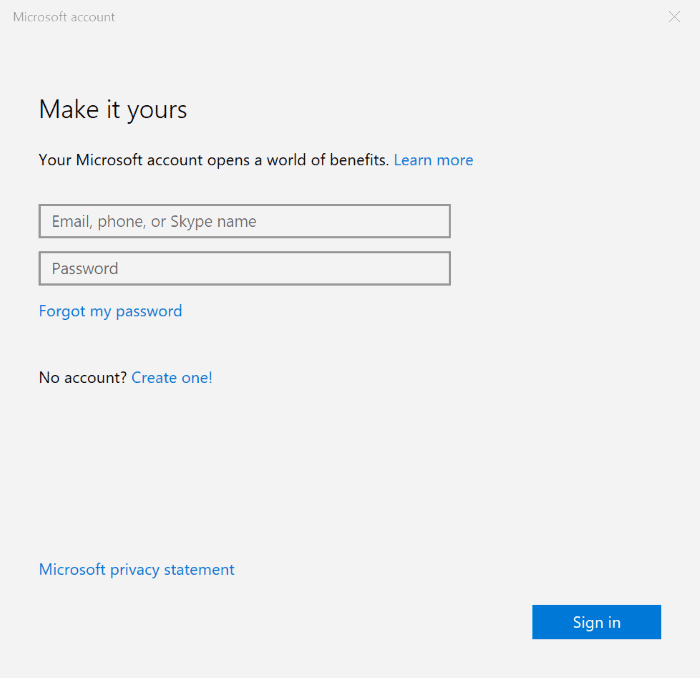 Step 3: Type in your Microsoft account email address and password. Click Next button. If you have forgot your password, refer to our how recover/reset Microsoft account password guide. If you are using two-step verification for your Microsoft account, you need to enter the security code to sent to your mobile, email address or authenticator app. Step 4: When you are asked to enter the current password for the local user account, type in the same and then click Next button. Finally, click Finish button to migrate your local user account to Microsoft account. 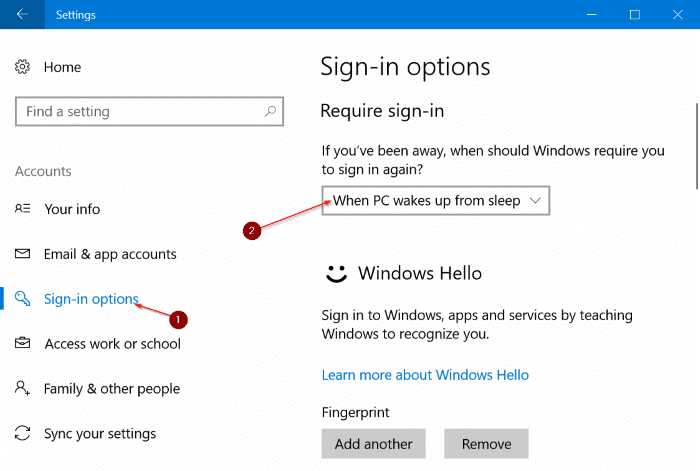 If your Windows 10 PC is not asking for password when waking up from sleep mode, it’s likely because you have configured automatic login. 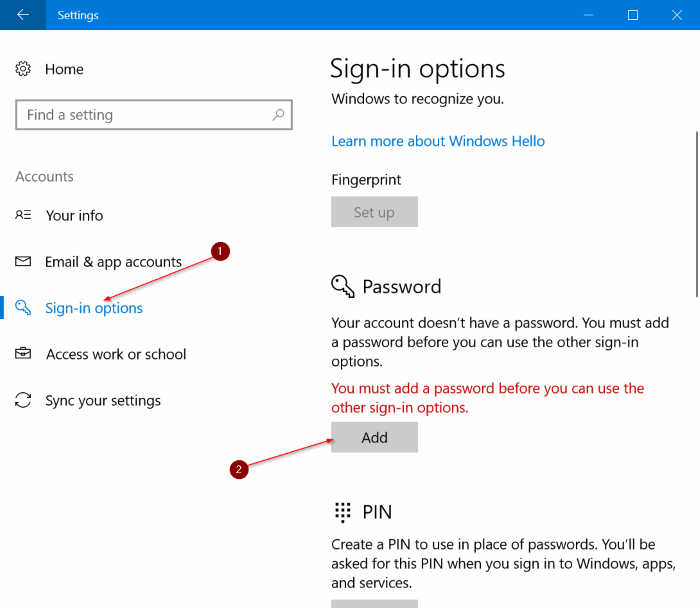 Please refer to the step-by-step directions mentioned in our how to enable or disable automatic login in Windows 10 guide to turn off automatic login. Step 1: Open Settings app. Click Accounts. Click Sign-in options. Step 2: In Require sign-in section, you should see “If you have been away, when should Windows require you to sign in again?”. Step 3: Choose When PC wakes up from sleep option from the drop-down dialog to make Windows 10 ask for password after resuming from sleep. If you have enabled screen saver in Windows 10, you should configure Windows 10 to ask for password after the screen saver. 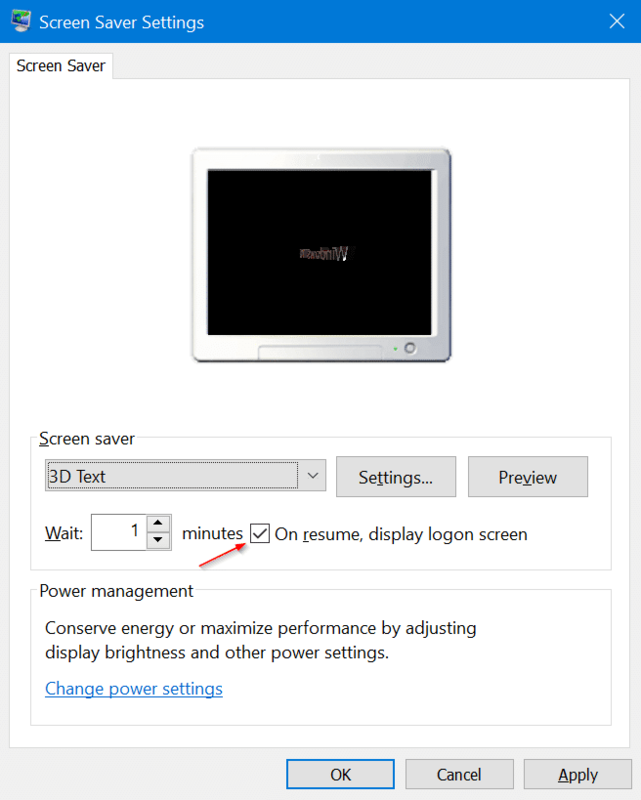 As you likely know, you can configure Windows to start the screen saver after a couple of minutes of inactivity. 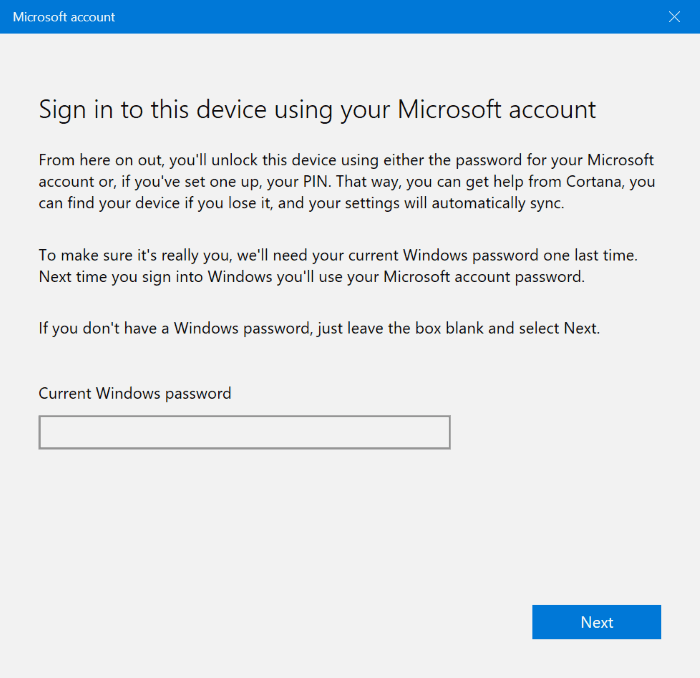 And when you resume the activity by pressing a key on the keyboard or moving the mouse, Windows 10 takes you to the login screen where you need to sign-in again if you configure Windows 10 to require password after the screen saver. Here is how to do that. Step 1: Navigate to Settings > Personalization > Lock screen > Screen saver settings. Step 2: Check On resume, display logon screen option. Click Apply button. You can improve the protection further by setting a BIOS/UIFI password on your Windows 10 PC. When enabled, a BIOS/UEFI password prevents people from booting into Windows or erase data on your PC using installation DVD/USB or live CD/USB. Please refer to our how to set BIOS/UEFI password in Windows 10 guide for detailed instructions.